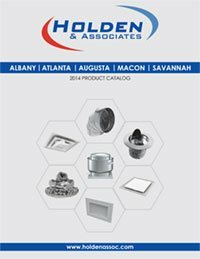 For over 60 years George Holden & Associates, Inc. (d/b/a Holden & Associates) has represented the leading manufacturers in the air movement and distribution industries throughout the state of Georgia. Our partnerships with these industry leaders provide exceptional resources for consulting engineers, mechanical contractors and building owners. With offices located throughout Georgia, Holden & Associates is well positioned to provide unparalleled service and support to our customers. Holden & Associates has been a provider of heating, ventilation and distribution equipment since 1952. By partnering with the best HVAC manufacturers in the industry we can provide building professionals with systems that support their project requirements. Holden & Associates offers learning opportunities for both contractors and engineers and can customize training to your firms’ needs.